As a club we like to come up with ways to include more members. We know that most of you aren’t involved in our shows and our only other event is the Basset Hound Picnic. The idea for these walks actually came from The Basset Hound Club in the United Kingdom. Their local clubs, called Branches, have been holding walks like this through out the British Isles for many years. We’re hoping that our members will get involved and enjoy these walks. It will give you a chance to meet other club members. 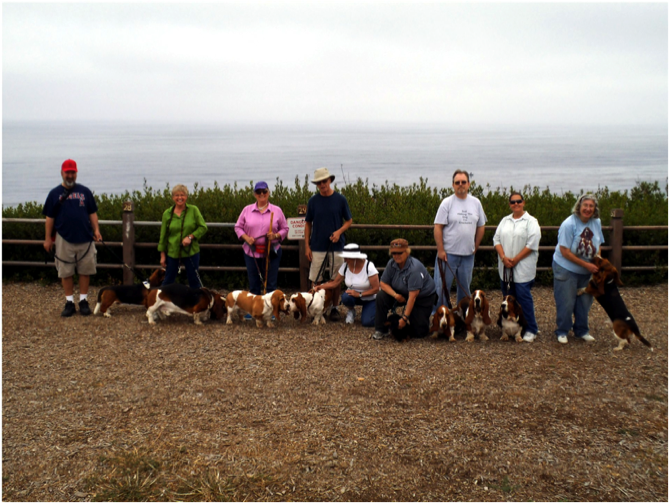 Pictures from our Basset Hound Walks along the Palos Verdes Cliffs. These walks, set up by Kay Haggard, were a lot of fun. 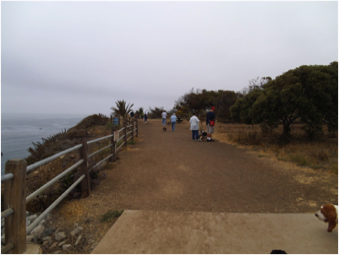 The trail is right along the Pacific Coast and the weather there was fairly cool. The starting place was a beautiful park with plenty of shade park where we gathered again after the walk. It was a geeat spot for a picnic lunch after the walk. 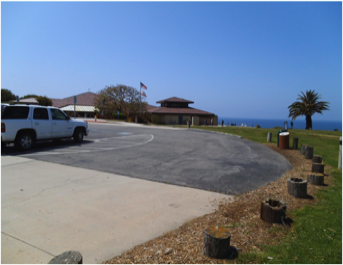 The park's Welcome Center had excellent restroom facilities. There is also plenty of parking for the park. The dogs and members had a wonderful time. 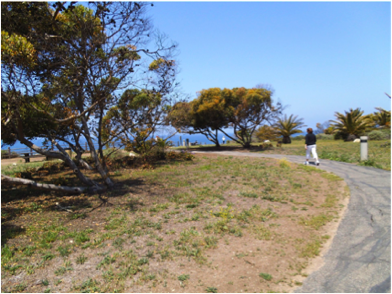 The trail is smooth and wide. The scenery is outstanding. 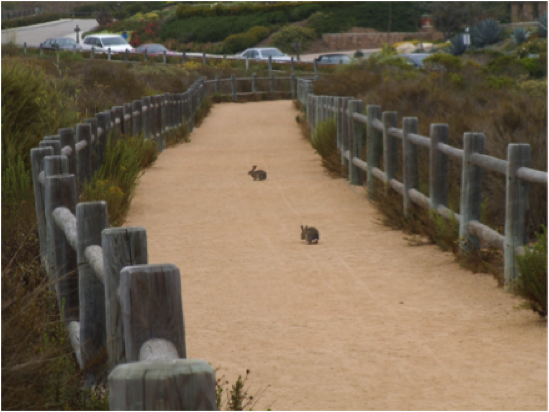 As can be seen in one photo, bunnies live in the surrounding underbrush. There are, however, also signs warning about rattlesnakes. Staying on the trail is very important for protection of the dogs and people. Due to the fact that most of our active members are deeply involved with dog shows we have not scheduled any walks recently. We welcome members to step up with suggestions for places to hold our Basset Walks. We also need someone other than our present officers setting them up. The club officers are looking for some interesting places where bassets and their owners can enjoy a walk together with others. 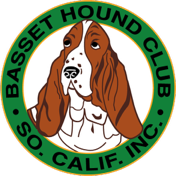 It's a great way to meet other basset hound owners and to socialize our dogs. 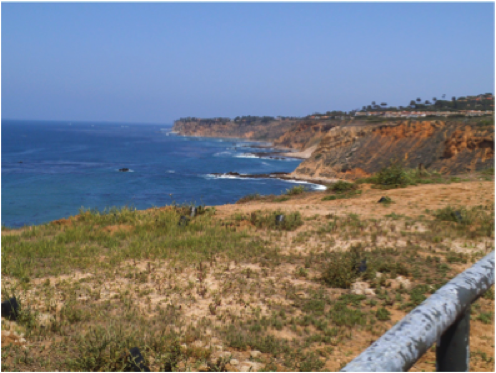 The pictures below are from some of our Basset Walks along the cliffs of Palos Verdes. Perhaps you know of a similar place or a park where we can walk together with our bassets. If you know of a place for our walks and/or are interested in helping organize some walks please contact our president, Mike Ott. Thank you. We're loking for similar places where both people and dogs can safely walk without getting too hot and all are protected from possible dangers. Here in Southern California rattlesnakes are always a concern. Adequate parking and restroom facilities concerns as well. We'd love to hear from members who'd like to suggest similar places and/or organize a Basset Walk.